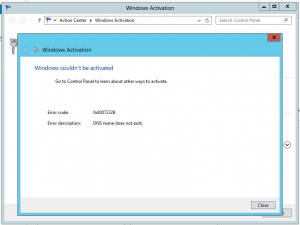 On Windows 7, 8 and Server 2012 you may see this error when trying to activate Windows. 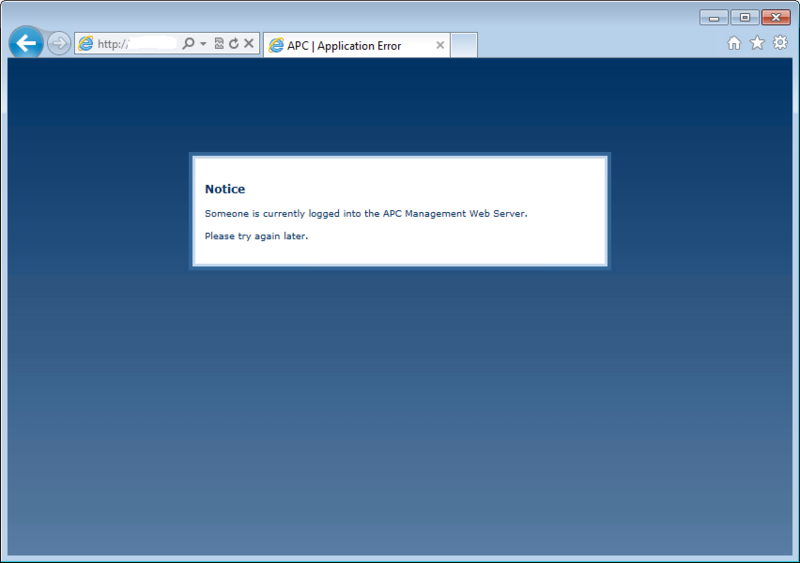 It seems that this is absolutely nothing to do with DNS, and the usual tricks of flushing the DNS cache with ipconfig /flushdns doesn’t work. 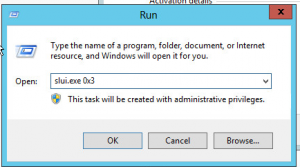 What does work however is slui.exe 0x3 which you can run from an elevated command prompt (right click on cmd and click ‘run as administrator’), or from the run dialog which runs as administrator by default. 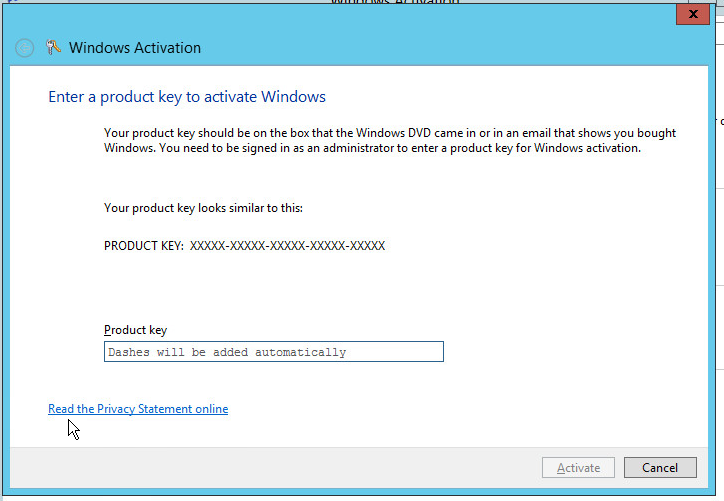 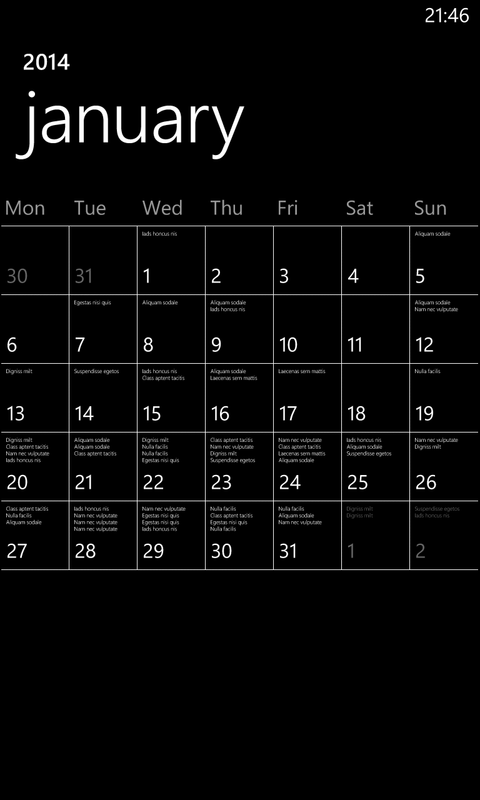 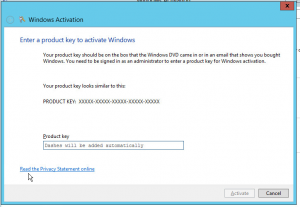 Once you run this it will allow you to enter your Windows product key and activate Windows.